Suddenly it can make sense to decide fully for God. The grace of God can do that for anyone. Today’s Gospel tells how it happened to Levi, whom we now know as St. Matthew. The call made sense to Jesus too, though it was a scandal to others. Matthew, as a tax collector, had the social standing of the loan shark of our day. But Jesus said that Levi was the kind He came for—a sinner rather than the good person. He used the word righteous, which Matthew’s Gospel attaches to St. Joseph! What gives here? Jesus came to save sinners, and we should understand now that we are among that number if we want later to go marching in with the saints. We need to confess who and what we are. 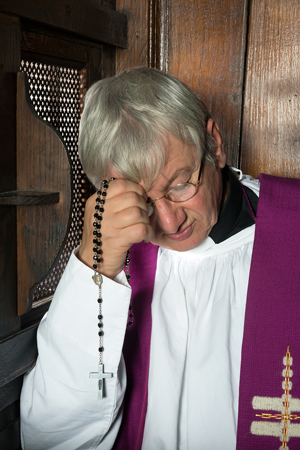 How long has it been since you have gone to confession?